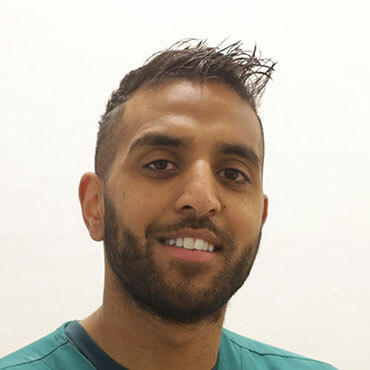 Dr Ajay Patel qualified from the Leeds Dental Institute in 2013 and has worked as both an NHS dentist and a private dentist before joining Dental Care Clinic in 2015. Ajay is committed to lifelong learning, and has completed examinations at the Royal College of Surgeons, as well as further certificates in Advanced Operative and Restorative Dentistry, and Advanced Endodontics. Ajay was born in Hornsey, and partakes in a wide range of sporting activities. His main passion outside of dental care is football, and has played for a local team since the age of 8. He enjoys attending matches, and is also a keen skier and cricketer.